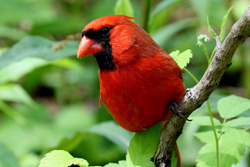 The mention of New York does not immediately bring to mind one of the top birding areas in the USA, perhaps the thinking behind that is a belief that New York is a top venue for sightseeing only. However, New York State is also a fantastic birdwatching region, including excellent sites not only in the City but also the whole state. Our May tour encompasses Central Park, Jamaica Bay and Bear Mountain State Park. There is also an optional extension to Washington County Grasslands and Saratoga National Park. 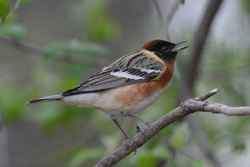 Spring birding is absolutely top notch for migrants and breeding species in this extensive state, which lies in the centre of the “Atlantic Migration Flyway”. 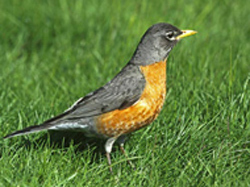 Central Park is rated one of USA’s premier birding sites, where Common resident species and regular spring visitors include Red-bellied Woodpecker, American Robin, Blue Jay, Swainson’s Thrush, Scarlet Tanager, American Goldfinch and Northern Cardinal. 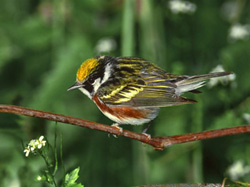 In springtime, a top day in Central Park can produce 20 species of gorgeous American wood warblers, including Ovenbird, Blackburnian, Magnolia, Bay-breasted and Chestnut-sided Warblers. 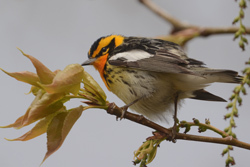 Exploration of Bear Mountain should reveal breeding Cerulean, Hooded & Golden-winged Warblers, Red-eyed Vireo, Baltimore Oriole, Pileated Woodpecker and Louisiana Waterthrush. At Jamaica Bay we should encounter breeding Ospreys, egrets, migrating shorebirds, terns and wildfowl. The optional extension to Saratoga N.P. 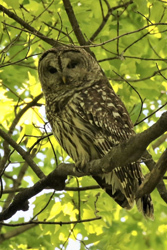 and Washington County Grasslands, will offer us the opportunity to discover species such as Barred Owl and Orchard Oriole, Northern Harrier, Eastern Meadowlark and Bobolink. We’ll also enjoy an evening river cruise and experience an illuminated Manhattan and the Statue of Liberty! 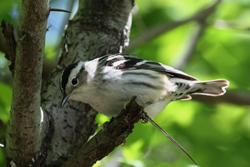 Days 6-8: On Day 6 we’ll travel up-state to explore Bear Mountain NP’s wooded escarpment, which should produce an array of American wood warblers, including Cerulean, Worm-eating, Golden-winged & Hooded, and also vireos, tanagers and orioles. On Day 8 we’ll return to New York City for an overnight stay. Days 9-10: After birding in Central Park, we’ll catch our flight back to the UK, where we arrive on Day 10. Extension – Days 8-14: On Day 8 we’ll transfer to Fort Edward for 4 Nights, in order to visit Saratoga N.P. for a variety of woodland & wetland species and also a lecture on the War of Independence. Washington County Grasslands support Northern Harrier, Upland Sandpiper, Eastern Meadowlark and Bobolink amongst other species. Return to New York City on Day12 and fly back to the UK on Day 13 - arriving Day 14. Travel insurance, ESTA, drinks and items of a personal nature.